Situated in Southeast Asia, the picturesque and tropical Philippines offers visitors a high standard of medical treatment at very reasonable prices. The magnificent natural beauty of the many islands and beaches in the country make it a perfect place to relax before an operation and also to recover afterwards. The Philippines has been growing in popularity in recent years, particularly with American and European tourists seeking inexpensive hospital treatment. For many years the country’s top hospitals were all located in the capital of Manila, but nowadays many new, modern hospitals have been built outside the capital including in Luzon and Davao. These hospitals are positioned close to tourist areas with stunning beaches. There is an array of medical services available including plastic surgery, organ transplants, hip and knee replacements, eye operations and dental care. Pros: Operations such as a full set of dental implants can cost as little as US$500 dollars in the Philippines. Having medical treatment in the Philippines not only has the benefit of being inexpensive, however, but the standard of facilities is world class. 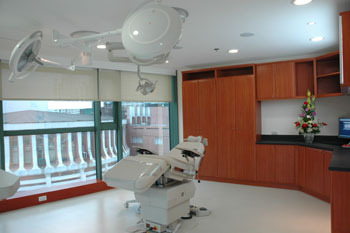 Many of the new hospitals are fitted with the latest in medical technology. Private hospital rooms are similar to five-star hotel rooms, which makes the experience comfortable and stress-free. The doctors and hospital staff are renowned for being caring, skilled and possessing great English skills. Cons: Being positioned in Southeast Asia, traveling to the Philippines from Europe or North America can be uncomfortable, with direct flights from the US taking up to 17 hours—longer with stopovers. While the tropical weather is sunny and hot—perfect for beach activities—it can sometimes make recovery from surgery uncomfortable. The country is tourist friendly and safe, but the capital of Manila can be dangerous in some areas, with muggings and pick-pocketing commonplace. The Philippines has long been a favorite for tropical beach holidays, but with an emerging high standard of health treatment and care and an initiative by the government, people are now seeing the country as a place to have the surgery they cannot afford at home. Many medical tour packages are now available which offer a travel and hospital service that takes care of everything from visas, airfares, accommodation, hospital costs for treatment and all transport. Medical services available include cardiology, rheumatology, cataracts surgery, knee replacements and bone marrow transplants. The Philippines has a wealth of skilled cosmetic surgeons who specialize in face lifts, rhinoplastery, abdominal tucks, liposuction and breast augmentation. Most of these operations cost a fraction of the price of those in developed counties. With many of the surgeons considered to be the best in their field, people are traveling from around the globe to have their cosmetic operations performed here. 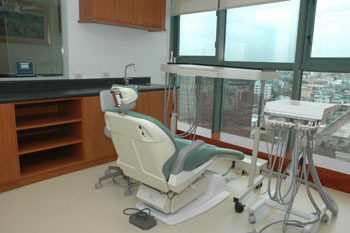 Dental surgery in the Philippines is performed at an incredibly high standard. There are many hospitals and clinics specializing in dentistry all across the country, with several that are used to catering to medical tourists. With so many dentists and low costs of labor, dental work is particularly cheap in the Philippines. 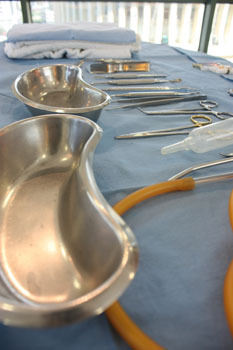 All standard procedures are available as well as more complex ones such as the fitting of dental implants and bridges. Alternative treatments are popular among locals in the Philippines, but the government is yet to promote this field of care to medical tourists. Medicinal plants are often used in the treatment of certain conditions, and faith healers and fringe therapies are widespread. Throughout the Philippines, natural health spas and relaxation centers offering therapeutic healing of the mind, body and soul are available. Many of these centers are set in resort style grounds, near to picturesque beaches that make for a special experience at very reasonable prices compared to their western counterparts. The natural healing resorts offer alternative treatments concentrating on organic solutions. Packages that offer long stays with a detoxification process, a natural and organic diet, meditation and massages are available. After having a major operation, visiting a natural healing center that offers these services can greatly help the recovery process.